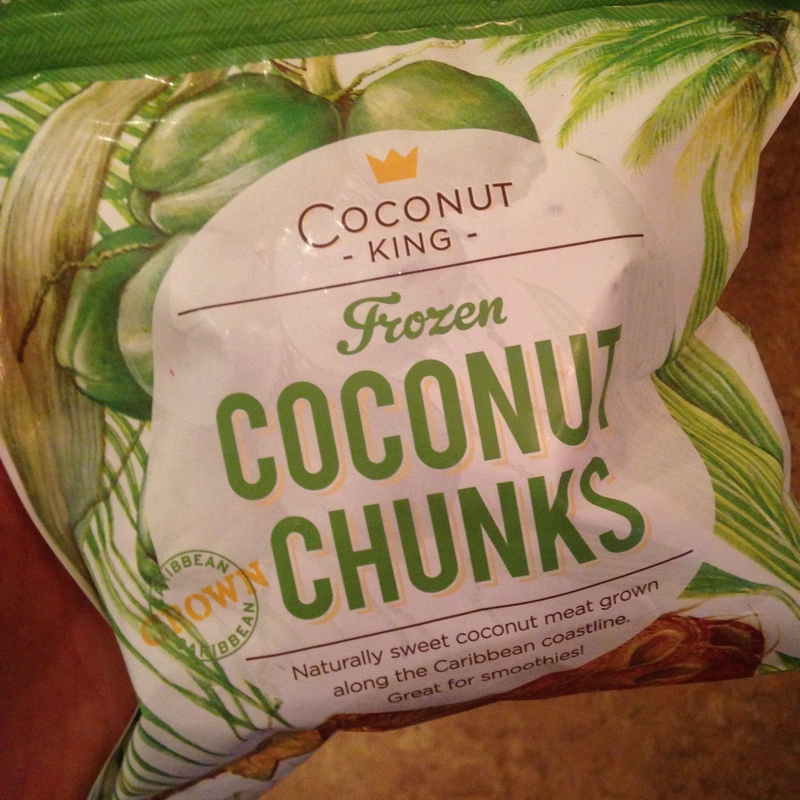 I was perusing the frozen fruit section at Sprouts yesterday and I came across a bag of frozen coconut. I’d never seen this brand before, so I bought it hoping that it would be frozen young coconut. Alas, it was not. It big meaty hunks of mature coconut. Which, you know, is also awesome. 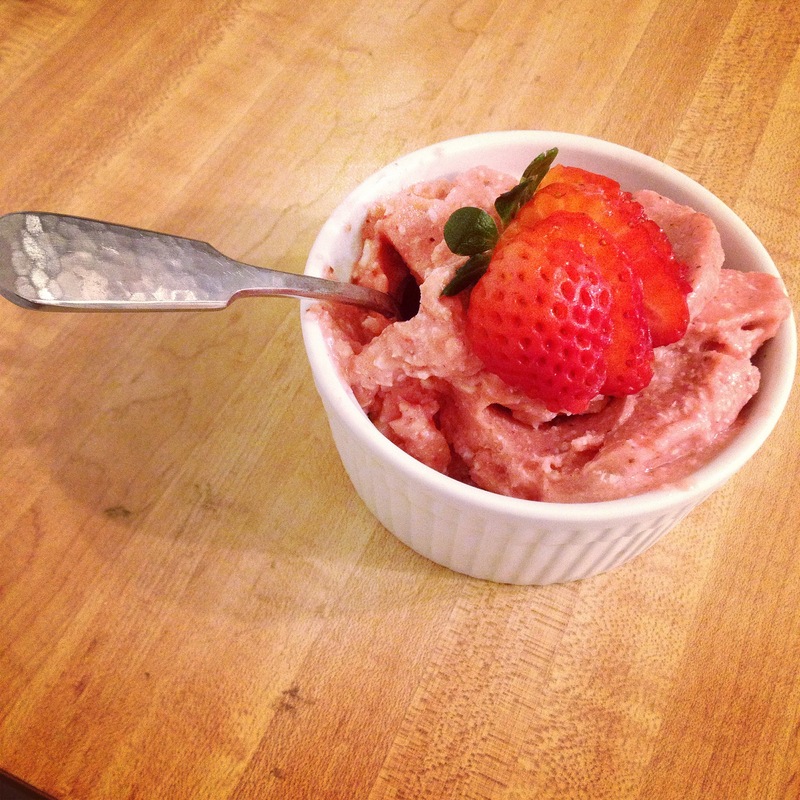 So I decided to put it to use in this real-food-only sorbet. Just three pure, nourishing, and delicious ingredients. The best part is that you can sub ANYTHING for your favorite fruit. Don’t like strawberries? Use banana! Can’t find coconut? Try papaya! Although, I will say that I liked it with the coconut because the blender didn’t fully pulverize it, so I got this tropical kind of soft serve with yummy chunks of fresh shredded coconut! You can make your own frozen coconut easily by getting a mature coconut from the store (the small fuzzy brown ones) and cracking and shucking them yourself. Or whole foods will often carry fresh mature coconut pieces in their “to-go” produce section. Fair warning: it’s $8.99 a lb. A mature coconut will probably set you back about $2.00 and the frozen coconut at sprouts was $5.99 for a pound. In a high-powered blender, using the tamper blend well until smooth. If you’re using the food processor, double the recipe and scrape down the sides occasionally until mixture is smooth. Serve as is or with fresh strawberries!